Band traditions come in all shapes and sizes. At some schools traditions have moved from generation to generation while at others are only in their infant years. Regardless, tradition in a university band is what binds us all together. It's what binds us from member to alumnus, from section to section, from band to band. The Florida State University is a school ripe with tradition. From their legendary "Chop" to the stabbing of the field, football games are littered with them. However, one tradition may not get the same type of respect among the non band fan base as say the "Chop" or field stab. At the final home game each year the seniors in the band enter the stadium knowing that they will be marching their final pre game and halftime shows that day. At the end of halftime, the seniors slide out of their shoes and march off the field. Their dinkles remain in their spot. Once the band marches off the crowd is given a chance to look upon the field and see the many pairs that are left behind. We like to think of it as leaving it all on the field. All the hard work, all the hours of practice, all the love that was poured from your heart to entertain that crowd in that stadium. The power of seeing the shoes behind not only brings tears to an eye, but also helps to understand the great size of a band and how many folks dedicate their lives to the band. 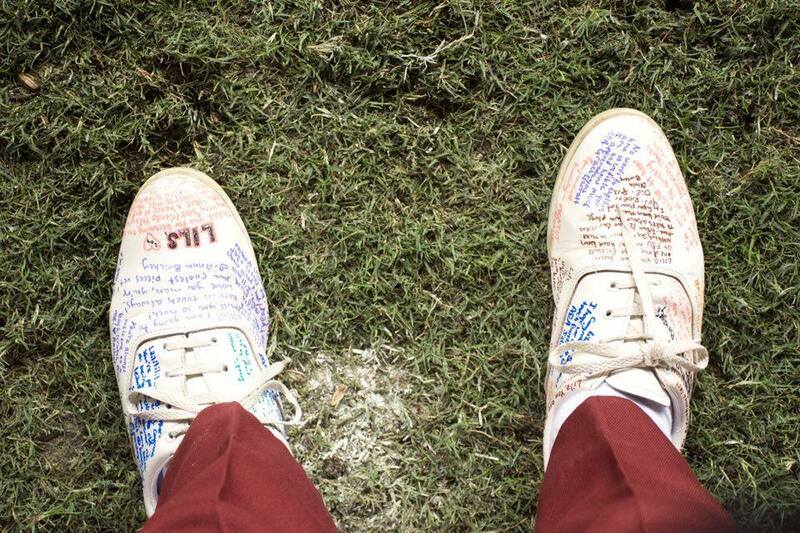 Once the field is clear, the grad assistants grab the remaining shoes and they are then passed around the band to sign. Members leave notes and fund memories like one would in a year book in high school. Freshmen thank seniors for teaching them while close friends relay how hard it will be to not march next to them the following season. 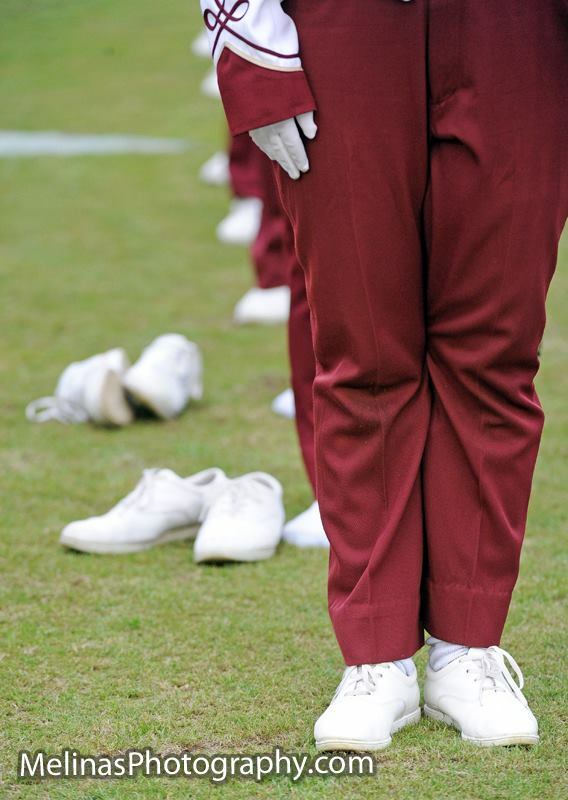 This tradition is one we love and one that perfectly embodies the soul of a marching band. So little do we think about our uniforms and the many alumni who have also sweat through the collar or spilled hot chocolate on it, yet it is that uniform that has bound so many people together. It is great to see the FSU Chief members being able to hold onto a part of that uniform forever etched with the words of those who marched at their side.